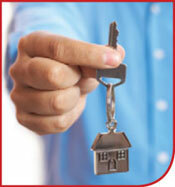 Real estate is a field of law where paralegals are of the utmost importance to their employers. This course will provide our students with a fundamental understanding of the concepts and working terminology of real property law. The course reviews disclosure obligations and regulations affecting brokers, sales people and owners. The course provides an introduction to buying, selling, leasing and investing in real estate; A brief look at the general laws of land ownership and transactions, including rights and interests in land, forms of ownership and methods of title transfer; title examinations and insurance; parties to a real estate transaction; the sales agreement and contract; real estate finance including appraisals and mortgages; the owner-broker relationship; deeds and indentures; real property descriptions; the closing and settlement process; and post-settlement activities. This course will further acquaint our students with the process of a real estate transaction and the documentation involved. Describe the "estate system" and explain ways the estate system is relevant to determining ownership of property. Describe and distinguish concepts of co-tenancy, joint tenancy, tenancy in common or by the entirety and community property. Describe the rights and responsibilities of a landlord and tenant. Describe the grounds for eviction of a tenant. Determine whether a wrongful eviction or other wrongs against a tenant has been committed. Describe key points in a real estate sales contract and a deed for real property. Describe the general procedures of a real estate closing. Apply rules of easements, i.e., rights of owners and non-owners as to property usage, to a particular fact pattern. Describe and apply the rules of eminent domain, water rights, etc. Apply the rules governing local zoning laws and determine whether a particular client's situation is one in which he or she is likely to receive a sought variance, based on the general standards under which local zoning boards operate. Determine when the decisions of zoning boards can be appealed to state and federal courts.